Right! Happy New Year everyone! So, has anyone attended a New Year's Concert in Vienna? 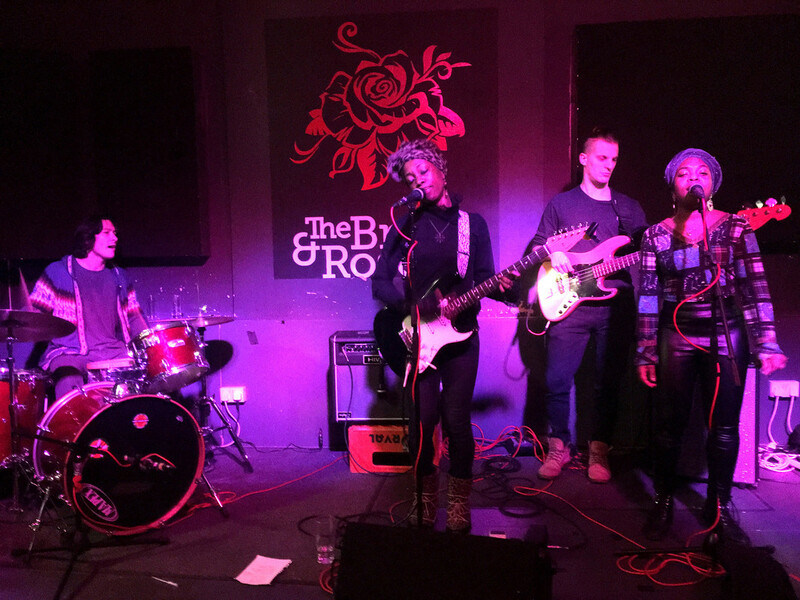 Sadly, I didn't attend the do in Vienna @kuma, but on 4th January I did go to The Bread & Roses in Clapham for the first gig of the year by Ese & The Vooduu People. It was a bit of a hairy one, this. By 8:30pm there was nobody there, and the promoter and myself were tearing our hair out. January is never a good time for gigs! Luckily at 9pm the place began to fill up and the show was a stonker! I have 4 gig's planned for January & I'll try and report back on them. A reflection of my musical tastes that's expanded with each passing year. I hope it will be as enjoyable as the 88 gig's I attended last year, with 25 booked already for '19. Daylight Music [ Activities ] is a wonderful concept for the local community and music lovers. They put on around 30 gig's a year & they have opened my ears to lot's of interesting music. Another highlight of the Church is hearing the [ Henry Willis Organ ] on occasions. Yes I checked out the link you posted and thought what a wonderful way to spend a few hours on Sunday afternoon. HIP ( historically Informed Performance ) orchestras have their detractors, but I actually like the OAE and have a few of their CDs. A girl's gotta make a living Kuma. We get very little from Spotify et al, so gigging's the way to go. Just back from the RCM in London. It was the world premiere of William Mival's Pluen, a piece he composed in honour of the 70th birthday of His Royal Highness The Prince of Wales. It's a meditation on a Welsh folk song found in an arrangement for choir by Gustav Holst; Y Glomen, the dove. Fragments of the original are woven into three extended variations. Each variation deriving from the relative proportions of the three feathers in the heraldic badge of the Prince of Wales. The rest of the evening's concert was a performance of Prokofiev's Dreams, and Stravinsky's Firebird Suite.